Do you have a dental emergency? The average wait time in a hospital emergency room is 4 hours and 7 minutes. For fast emergency dental care visit Sea-Tac Family Dentistry immediately. Our emergency dental care team will quickly resolve your dental emergencies. Emergency dental care is available for cracked teeth, painful gums, toothaches and more. You’ll get emergency dental care that stops the pain and allows your mouth to function properly. We’ll get you back to your normal life. Don’t waste time stuck in an emergency room. Contact us for your emergency dental care. Years of oral abuse can lead to painful toothaches and other dental problems. A dental emergency can happen at inconvenient times. Contact us for same-day emergency dental care. If you’re working a dental emergency is the last thing you need. Get the urgent dental care you need at Sea-Tac Family Dentistry. We’re equipped to provide same-day emergency dental care. We’re the dental emergency clinic you can count on. 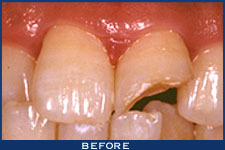 We provide Seattle emergency dental care that stops dental pain in its tracks.